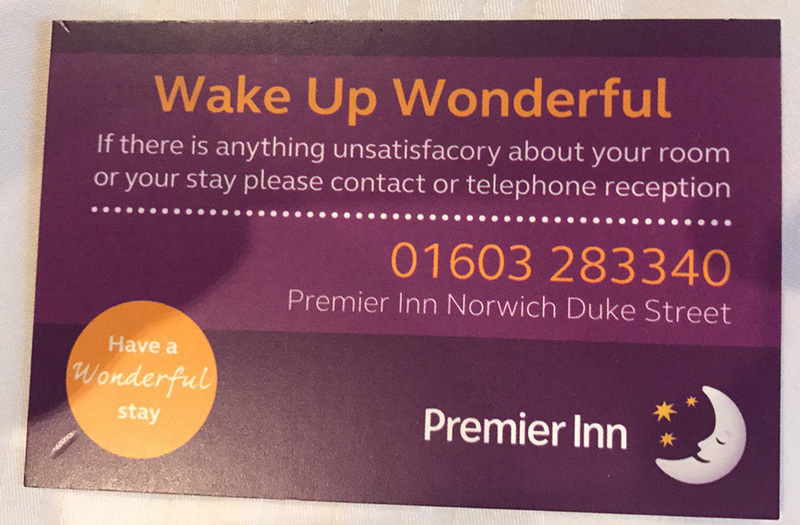 If you can’t ensure that the temperature in your bedrooms is sufficiently low enough to allow your guests to get a decent night’s sleep, then perhaps you shouldn’t leave this card around for them to snap. Especially so when it contains a rather embarrassing typo. A most unsatisfacory night for the family Foster, parked up in the ‘luxury’ surroundings of the Norwich Premier Inn last Saturday evening.